The University of Strathclyde approached Cortech Developments with the remit to maximise safety and security across the University’s extensive campus. They were specifically seeking a graphical user interface that could provide a scalable solution that factored in their requirements for phased implementation and future expansion. This was the start of a process that would see Scotland’s third largest University and currently UK Entrepreneurial University of the year 2013/14 invest in Cortech’s modular software suite for building, fire and security management. Now installed, Datalog 5 [Cortech’s latest major software version] provides interoperability and integration of various University buildings and staff safety systems including: fire, intruder, panic alarm, flood alarm and various mechanical plant and electrical systems. It is also proposed to further extend the capability to include Disabled Toilet Alarm and a few potential others. This has provided greater visibility of data, enabling the University to limit risk and escalation through early intervention. Datalog is based in the main security control room at the University and monitors these multiple systems for 27 academic buildings and 11 Halls of Residence across campus. 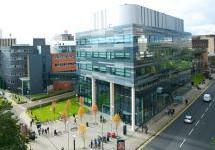 Datalog 5 provides an enhanced operator experience for the University of Strathclyde. Alarm and event procedures are clearer and simplified, especially in circumstances of simultaneous incidents. Furthermore, Datalog 5 offers improved security and control, quick and simplified reporting, detailed and flexible mapping and a host of other features. Cortech Developments have worked with many other Universities in the UK assisting them in managing their buildings more efficiently and cost effectively.